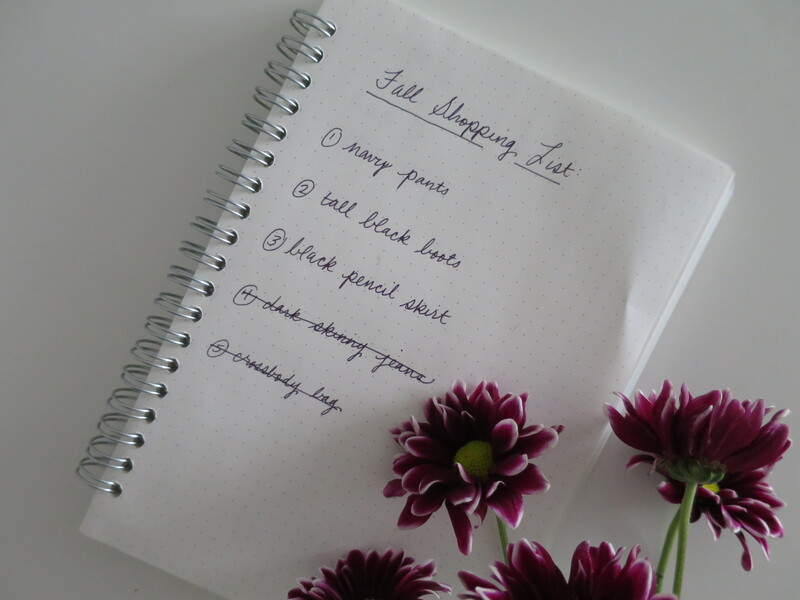 my previous shopping lists have helped keep me focused when adding items to my closet, so i created a short one for this fall. the navy pants are still on there – i haven’t found the perfect fit. you can see that the rest of the items are pretty classic, yet i was still missing them from my closet. for many years, i just bought what caught my eye, instead of thinking about what worked with pieces i actually had.